Friedrich Daniel Ernst Schleiermacher (German: ; November 21, 1768 – February 12, 1834) was a German theologian, philosopher, and biblical scholar known for his attempt to reconcile the criticisms of the Enlightenment with traditional Protestant Christianity. He also became influential in the evolution of Higher Criticism, and his work forms part of the foundation of the modern field of hermeneutics. Because of his profound effect on subsequent Christian thought, he is often called the "Father of Modern Liberal Theology" and is considered an early leader in liberal Christianity. The Neo-Orthodoxy movement of the twentieth century, typically (though not without challenge) seen to be spearheaded by Karl Barth, was in many ways an attempt to challenge his influence. Born in Breslau in the Prussian Silesia as the grandson of Daniel Schleiermacher, a pastor at one time associated with the Zionites, and the son of Gottlieb Schleiermacher, a Reformed Church chaplain in the Prussian army, Schleiermacher started his formal education in a Moravian school at Niesky in Upper Lusatia, and at Barby near Magdeburg. However, pietistic Moravian theology failed to satisfy his increasing doubts, and his father reluctantly gave him permission to enter the University of Halle, which had already abandoned pietism and adopted the rationalist spirit of Friedrich August Wolf and Johann Salomo Semler. As a theology student Schleiermacher pursued an independent course of reading and neglected the study of the Old Testament and of Oriental languages. However, he did attend the lectures of Semler, where he became acquainted with the techniques of historical criticism of the New Testament, and of Johann Augustus Eberhard, from whom he acquired a love of the philosophy of Plato and Aristotle. At the same time he studied the writings of Immanuel Kant and Friedrich Heinrich Jacobi, and began to apply ideas from the Greek philosophers to a reconstruction of Kant's system. 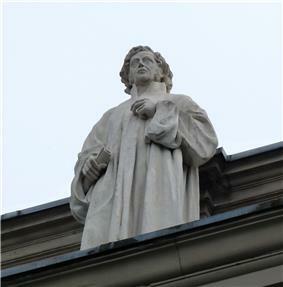 In 1804, Schleiermacher moved as university preacher and professor of theology to the University of Halle, where he remained until 1807, quickly obtaining a reputation as professor and preacher; he exercised a powerful influence in spite of contradictory charges which accused him of atheism, Spinozism and pietism. In this period he wrote his dialogue the Weihnachtsfeier (Christmas Eve: Dialogue on the Incarnation) (1806), which represents a midway point between his Speeches and his great dogmatic work, Der christliche Glaube (The Christian Faith); the speeches represent phases of his growing appreciation of Christianity as well as the conflicting elements of the theology of the period. After the Battle of Jena he returned to Berlin (1807), was soon appointed pastor of the Trinity Church, and on May 18, 1809 he married Henriette von Willich (née von Mühlenfels) (1788–1840), the widow of his friend Johann Ehrenfried Theodor von Willich (1777–1807). At the foundation of the Lutheran and Reformed divisions of German Protestantism, paving the way for the Prussian Union of Churches (1817). 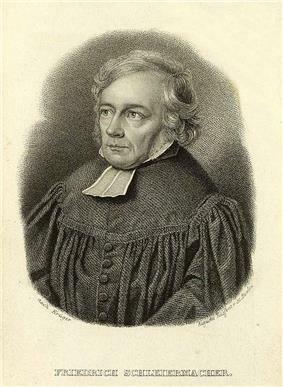 The twenty-four years of his professional career in Berlin began with his short outline of theological study (Kurze Darstellung des theologischen Studiums, 1811), in which he sought to do for theology what he had done for religion in his Speeches. While he preached every Sunday, Schleiermacher also gradually took up in his lectures in the university almost every branch of theology and philosophy — New Testament exegesis, introduction to and interpretation of the New Testament, ethics (both philosophic and Christian), dogmatic and practical theology, church history, history of philosophy, psychology, dialectics (logic and metaphysics), politics, pedagogy, translation and aesthetics. The same year Schleiermacher lost his only son — Nathaniel (1820–1829) — a blow which, he said, "drove the nails into his own coffin." 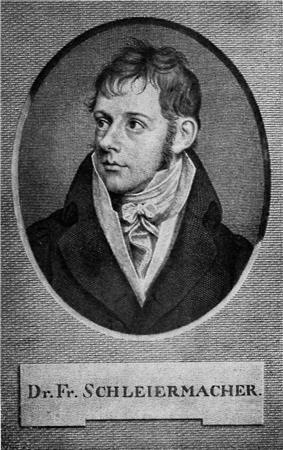 But he continued to defend his theological position against Hengstenberg's party on the one hand and the rationalists Daniel Georg Konrad von Cölln (1788–1833) and David Schulz (1779–1854) on the other, protesting against both subscription to the ancient creeds and the imposition of a new rationalistic formulary. In the concept therefore the intellectual and in the judgment the organic or sense element predominates. The universal uniformity of the production of judgments presupposes the uniformity of our relations to the outward world, and the uniformity of concepts rests similarly on the likeness of our inward nature. This uniformity is not based on the sameness of either the intellectual or the organic functions alone, but on the correspondence of the forms of thought and sensation with the forms of being. The essential nature of the concept is that it combines the general and the special, and the same combination recurs in being; in being the system of substantial or permanent forms answers to the system of concepts and the relation of cause and effect to the system of judgments, the higher concept answering to "force" and the lower to the phenomena of force, and the judgment to the contingent interaction of things. The sum of being consists of the two systems of substantial forms and interactional relations, and it reappears in the form of concept and judgment, the concept representing being and the judgment being in action. Knowledge has under both forms the same object, the relative difference of the two being that when the conceptual form predominates we have speculative science and when the form of judgment prevails we have empirical or historical science. Throughout the domain of knowledge the two forms are found in constant mutual relations, another proof of the fundamental unity of thought and being or of the objectivity of knowledge. It is obvious that Plato, Spinoza and Kant had contributed characteristic elements of their thought to this system, and directly or indirectly it was largely indebted to Schelling for fundamental conceptions. The impact of Schleiermacher's work on hermeneutics is significant. The claim of Schleiermacher as the father of hermeneutics seems to be justified by the fact that his work marks the beginning of hermeneutics as a general field of inquiry, separate from the specific disciplines (e.g. law or theology). His focus on hermeneutics as a theory of interpretation for any textual expression would be expanded even further to the theory of interpretation of lived experiences in the twentieth century by those like Heidegger, Gadamer and Ricoeur. Schleiermacher, like John Hick, held that an eternal hell was not compatible with the love of God. Divine punishment was rehabilitative, not penal, and designed to reform the person. He was one of the first major theologians of modern times to teach Christian Universalism. From Leibniz, Lessing, Fichte, Jacobi and the Romantic school Schleiermacher had imbibed a profound and mystical view of the inner depths of the human personality. His religious thought found its expression most notably in The Christian Faith, one of the most influential works of Christian theology of its time. The ego, the person, is an individualization of Empfindung), which is the minimum of distinct antithetic consciousness, the cessation of the antithesis of subject and object, constitutes likewise the unity of our being, in which the opposite functions of cognition and volition have their fundamental and permanent background of personality and their transitional link. Having its seat in this central point of our being, or indeed consisting in the essential fact of self-consciousness, religion lies at the basis of all thought, feeling and action. "Religion is the outcome neither of the fear of death, nor of the fear of God. It answers a deep need in man. It is neither a metaphysic, nor a morality, but above all and essentially an intuition and a feeling. ... Dogmas are not, properly speaking, part of religion: rather it is that they are derived from it. Religion is the miracle of direct relationship with the infinite; and dogmas are the reflection of this miracle. Similarly belief in God, and in personal immortality, are not necessarily a part of religion; one can conceive of a religion without God, and it would be pure contemplation of the universe; the desire for personal immortality seems rather to show a lack of religion, since religion assumes a desire to lose oneself in the infinite, rather than to preserve one's own finite self." His concept of church has been contrasted with J.S. Semler's. Asteroid 12694 Schleiermacher is named for this German theologian. See also Freimut Börngen, German astronomer. See also Sämmtliche Werke (Berlin, 1834f. ), and Werke: mit einem Bildnis Schleiermachers (Leipzig, 1910) in four volumes. 1850 text tr. by W. Farrer, Edinburgh. 1922 outline tr. by D. Baillie, Edinburgh: T. & T. Clark. Soliloquies, trans. Horace Friess. Chicago, 1957. Marina, Jacqueline, ed. The Cambridge Companion to Schleiermacher. Cambridge: Cambridge University Press, 2005. Park, Jae-Eun. " between the Finite and the Infinite in Participation with Christ.coincidentia oppositorumSchleiermacher's Perspective on Redemption: A Fulfillment of the " Journal of Reformed Theology 9/3 (2015): 270-294.